When you’re planning any kitchen it’s important not to plan it too tight! If you plan to exact wall sizes then you’ll more than likely come across problems during the installation. Allowing small 15-40mm fillers between units and walls will give you more space to play with and stop handles clashing. Starting to plan your kitchen from the corners is a good idea. We offer a huge range of corner unit options, view our video to find out more about what’s available and how to use them. Don’t forget, we have a vast range of unit widths – ranging from 150mm up to 1200mm, with 350, 450, 700mm & 900mm units that can’t be found just anywhere! We also offer tall units and wall units in three different heights, allowing you to create the perfect layout for the space you have. The legs are included on our units. The default height of our legs is 150mm but the legs on our kitchen units will adjust from 140mm to 170mm. Hi, the microwave units are also 300mm deep. I am wanting some advice on infills. I am wanting a 300 tall larder and to the left will be a 450 wall unit. This 450 unit must open to the right , towards the larder unit , as on the other side is the side of an under stairs slope. Will it look odd if I was to put a small 30mm infill between 450 and larder unit so that I can decrease the gap between 450 unit and the slope. The slope will cut across side of 450 unit so half will be covered by slope and half will still be visible . So I cant put infill there but could use an end panel. This would decrease the gap but still leave 1 cm gap. Which would be the best option? Hi, it is difficult to give accurate advice on a bespoke fitting feature that you are attempting to create, and that we can’t see. We never advise on cutting through doors as it would impinge on the stability and quality. Would it be feasible to purchase a smaller height unit that does not require cutting and using panels to create an angled open shelf area above it? The off cut of panels may be used as infills. I would seek advise from a fitter, as it appears to be more of an installation issue. I want to know if I fit wall unit flush to a side wall with hinge side to wall, will it be able to open? The answer to your question is yes, the door will open. But, if you have handles on your doors then they will probably hit the wall and you will not be able to open the door the full 90 degrees. If you have a handleless kitchen then there will be no issue with handles clashing with walls. How far over the cabinets should the worktop extend? The cabinets are 560 deep + 20mm for doors = 580mm. The standard worktop is 600mm which gives a overhang of 20mm. Is it possible to put a gas hob that requires a cut out of 560mm width, 480mm depth and is 50.2mm high above a 600mm pan drawer unit? The hob shouldn’t stop the drawer from opening should it? Yes it is possible. Your worktop ideally has to be 40mm deep. Have a read of the article below which covers the question you have asked. Craig mentions that diy-kitchen’s corner posts some as “2 pieces at 70mm wide allowing you to cut them down” to suit. What’s the best way to cut them? I think it would be difficult to cut the 45 deg angle, therefore that only leaves the 90 deg side, but that cut would leave an exposed edge visible. Any ideas? Cut the 2 pieces to size and screw them together, there is no need to cut at 45 degrees. Are you open at weekends to come and see showroom? 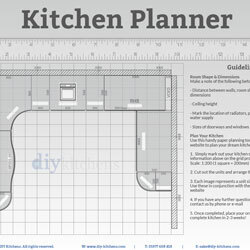 If we bring our kitchen plans can we get some advise on design? How do you order non standard units? What options are available in corner units? What is the difference between fulford and shelly? What is the difference between vinyl faced and painted vinyl timber effect? Can we design one style and change to another using same dimensions? Yes, we can look at your plans for you. These are done on a case by case basis when you contact us, if we can create them in your kitchen style. In the shopping cart, you can add your units and doors in one style, then change them at the top of the page at anytime whilst you are creating your shopping cart.